The Toro snow blower is used to clear snow off of the driveways and walk ways at businesses and residences. If you are having problems with the starter on your Toro snow blower, you can fix the problem with minimal knowledge of the subject. 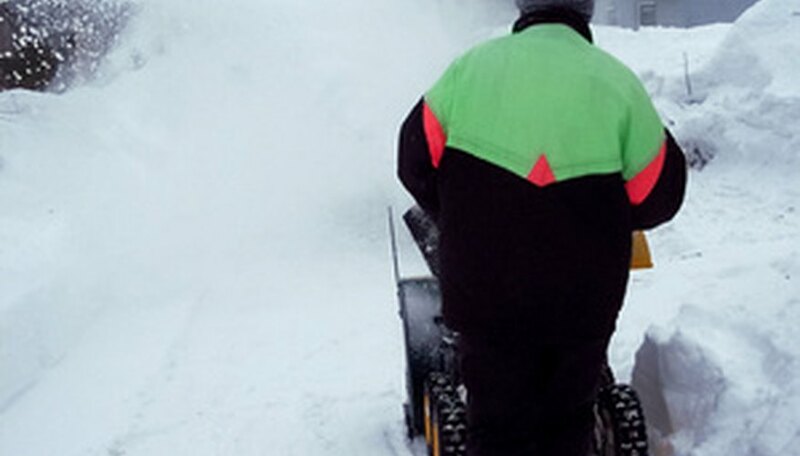 The pull cord on the snow blower’s motor is used to start the motor and blow the snow away. If your pull cord is broken or damaged, you can fix the problem with a few tools found around your home. Use a screwdriver to loosen the screws that are holding the engine cover onto the blower. Remove the cover from the Toro snow blower. Unplug the spark plug wire from the blower’s spark plug by pulling on the rubber boot found on the tip of the blower’s spark plug. Use a ratchet to loosen the three bolts holding the starter shroud onto the front of the blower’s motor. Lift the shroud off of the blower’s engine with your finger and set it aside. Turn the pulley on the center of the shroud clockwise until you feel it stop turning. Clamp the shroud so it can’t move with a pair of pliers. Go to the center of the pulley and then grab the knot inside the knot hole with your pliers. Pull the rope out of the blower. Put the new rope through the shroud and then put the rope into the pulley. Leave about a foot of rope outside of the pulley. Tie a knot at the end of the rope so it won’t go into the pulley. Put the starter shroud onto the engine and then tighten the three bolts onto the engine casing. Replace the spark plug wire and then replace the spark plug. Replace the engine cover and tighten the screws holding it in place.